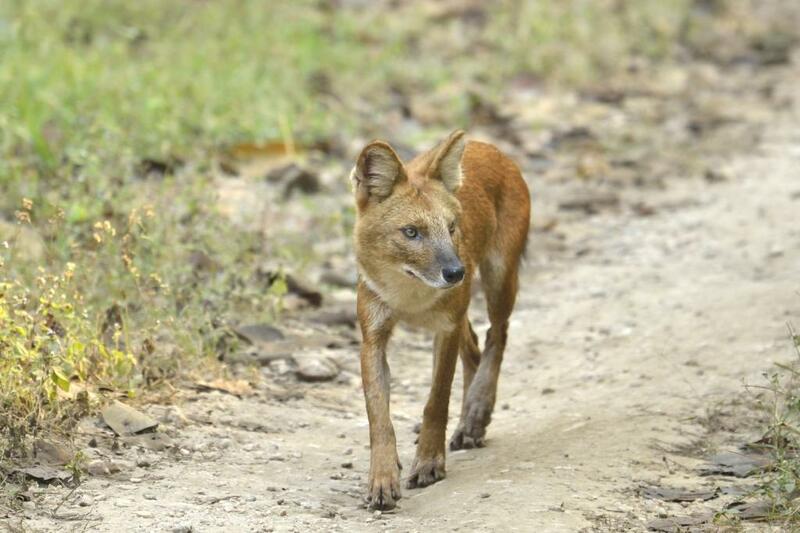 A new study has found that expansion of protected areasin the Western Ghats has not helped the lot of Dhole, commonly known as the Asiatic wild dog, even while enabling the recovery of populations of tigers and other big carnivores. Dhole is an apex social carnivore in the tropical forests of South and South East Asia. Conservation of such carnivores leads to well-being of the entire ecosystem. There are many conservation projects based on this concept. These have helped improve the population of bigger carnivores. However, there is not much knowledge about what has happened to smaller and less known but equally important animals like dholes. As a part of a long-term study, a team of scientists have now estimated the dhole population and its occupancy pattern in 16 protected forest reserves and adjoining landscapes covering an area of 37,000 square kilometres in Karnataka portion of Western Ghats. They found that there are 49 sites in the surveyed areas, which faced the threat of local extinction of the animal. The researchers used a unique methodology for the study. They combined indirect sign survey data and dynamic occupancy modelling techniques. It is not possible to employ the normally used capture-mark-recapture camera trap-based survey methodfor estimating dhole population because they do not have uniquely identifiable marks on their bodies. Generally, dholes hunt in packs and tend to venture into forested landscapes adjoining protected areas. Anthropogenic factors, which fragment and alter landscapes, affected dholes. Under certain circumstances, the dhole population might even get restricted within the fragmented areas, forming meta-populations. If due conservation efforts are not taken towards these isolated populations, they might get wiped out. The new study has explicitly emphasised on conservation of these dhole metapopulations. In a paper published in journal Scientific Reports, researchers emphasised that factors linked to human use of dhole habitats pose the highest level of threats to dhole populations. “The presence of livestock adjacent to reserve areas negatively affected dhole occupancy. It affects habitat quality as livestock competes with the wild prey of dholes. Free-ranging feral dogs also adversely affect dhole populations because of competition for prey and by hosting a range of pathogens harmful to dholes,” the study has observed. Speaking to India Science Wire, the lead author of the study, Arjun Srivathsa of the Wildlife Conservation Society-India, Bengaluru, said, “Tigers and leopards are likely a lot more resilient compared to dholes. Dholes are perhaps a lot more sensitive to forest cover and therefore require more nuanced approaches for population recovery”.